Prizehouse Construction provides a full range of construction, building and joinery services to domestic households and to the commercial sector. Building Trust, Creating Visions. Creative Developments Yorkshire are a one stop shop for all your construction requirements, with in house Architects, Quantity Surveyors, Project Managers, Builders, Joiners, Gas & Heating Engineers, Roofers, Plasterers, Decorators. We carry out works of a value up to £2 million. Undertaking a variety of projects from large scale commercial and education projects right through to small domestic work. We take care of the whole process from start to finish. Friendly and Professional Service We always bring our enthusiasm and dedication to every project, while making our clients visions a reality. 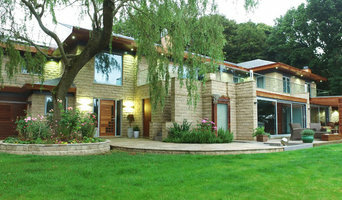 Over 30 Years Experience With over 30 years building experience in Yorkshire we are able to provide quality advice in relation to your next project. Eco Friendly We are at the forefront of innovation, incorporating the latest Eco technologies and techniques into all of our projects. 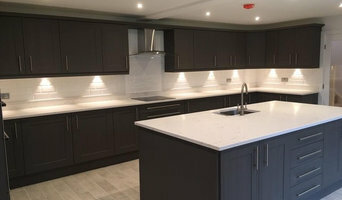 Harmony Kitchens and Bedrooms in Leeds is a family-run business specialising in elegant, stylish and affordable made-to-measure kitchens and bedrooms. We have extensive experience and knowledgeable designers, who will ensure you get the look you want for the price you need. Haresign Bespoke is a hi-end, bespoke service. 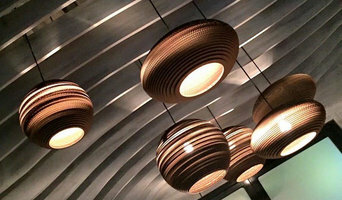 We specialise in the exclusive construction work and the design and production of furniture. Our unique creations are handcrafted by an extremely talented team. High standards and a committed approach are apparent from the start, to ensure a first class customer service, right through from design and production to installation. This turn-key service is what sets Haresign Bespoke apart from our competitors and all of our clients can count on perfect standards. We create handmade, bespoke furniture for commercial or private projects – from fitted wardrobes, dressing rooms, living rooms and luxury residential kitchens – to completely refitting bars and restaurants. 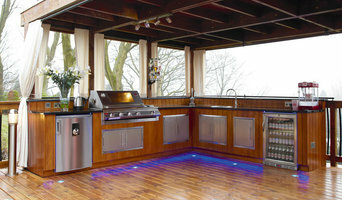 Based just outside Manchester, England, We design and build luxury and bespoke outdoor kitchens. Landmarks UK Ltd is a building firm in the North of England who can offer the discerning client value in all aspects of building needs from large residential and commercial construction, to smaller refurbishments and extensions and right through to professional services such as Project Management, Quantity Surveying, CDM coordination. Landmarks UK ltd can offer the client sustainable construction solutions from our team of experts in the field of eco and sustainable builds. 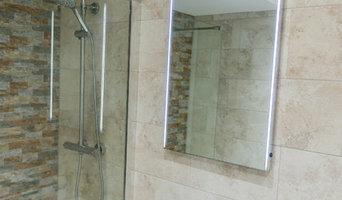 We are a small family business that prides ourselves on our 13 years experience as a bathroom and kitchen professional. Gre-eco Design and Build are committed to providing a number one guaranteed service to all our clients. Gre-eco Design and Build provide their services in and around Wakefield, Leeds and Huddersfield districts, but will look at providing services further afield on an individual basis. Gre-eco Design and Build are Specialists in Domestic and Commercial Projects of all sizes, ranging from £5,000.00 - £1,000,000.00 We have a dedicated team of professionals to carry out all the requirements from Domestic Extensions to Complex Projects. Our team is very proud to have received two pinnacle awards over the years, which is the highest accolade possible as a dry stone waller. only one award can be presented each year and then only if a project is deemed to be, ‘an outstanding example of its type, built to the highest standards of craftsmanship’. to date only seven pinnacle awards have been awarded since the D.S.W.A’s founding in 1968. We are a group of full-time professional dry stone wallers who with our full team of craftsmen have over 150 years of experience and expertise to draw upon. We are great believers in team work and the efficiency of labours this brings about. We work quickly and efficiently and always carry out all work to the highest standard, as every piece of our work reflects and represents us. We never compromise on the quality of craftsmanship. We are proud to say that over the many years we have been working we have never had an unhappy customer. All members of the team have public liability insurance for £5,000,000. At least 2 members at any one time have up to date First Aid certificates. We have the necessary training and sign-age to carry out any roadside work required and also hold the government endorsed C.S.C.S Health Safety and Environment test allowing us to work on major construction sites. Black Wren specialises in the design and production of contemporary bespoke and designer furniture. Producing homeware items such as tables and stools and bespoke made to order installations in an industrial contemporary style yet giving a wholesome feel to suit almost any environment. Utilising elemental materials we produce timeless furniture to last.